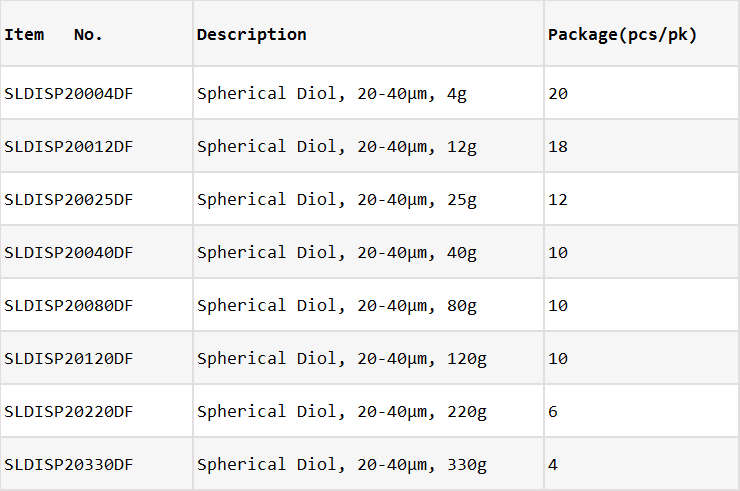 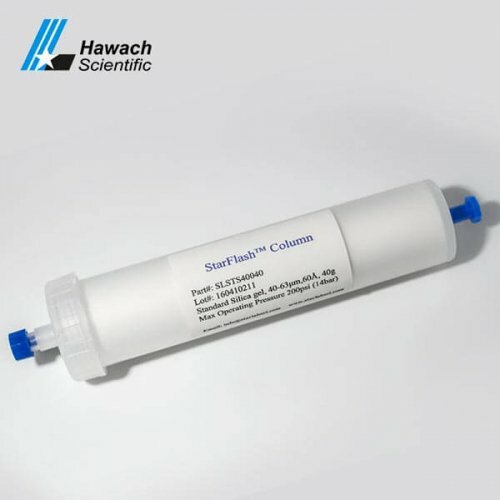 Our Spherical Diol Flash Column cartridge offers high compatibility, safety and flexibility with free leakage. 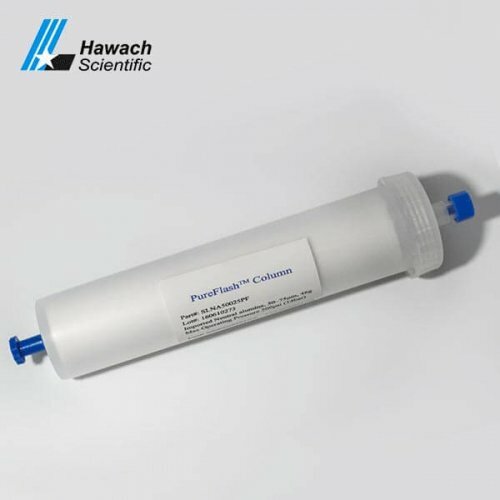 Bonding 2-hydroxypropyl functional groups, used for the separation of peptide, protein, polar molecules, can also be applied to the separation of the organic acid and its oligomer. 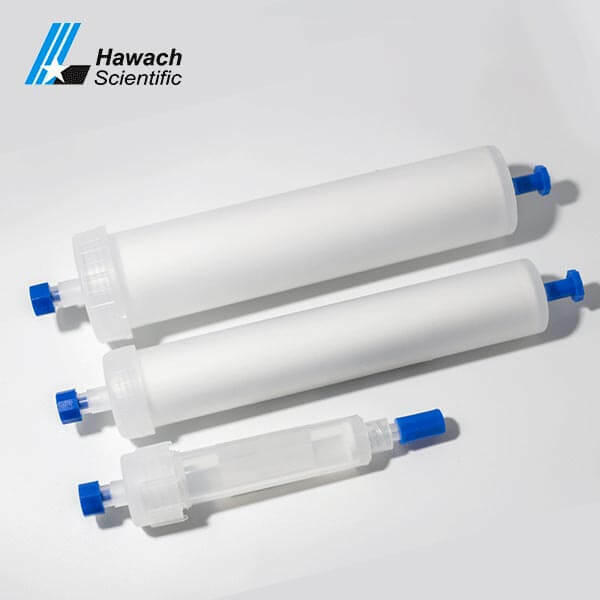 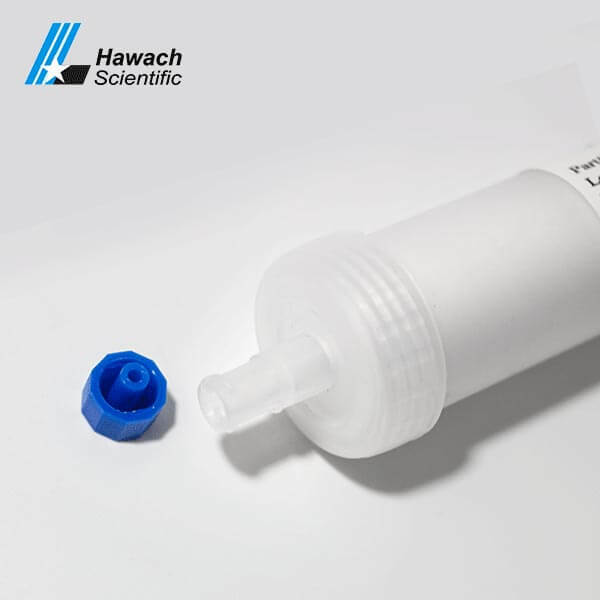 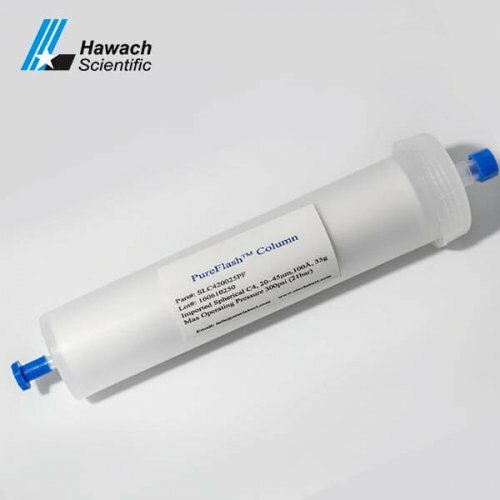 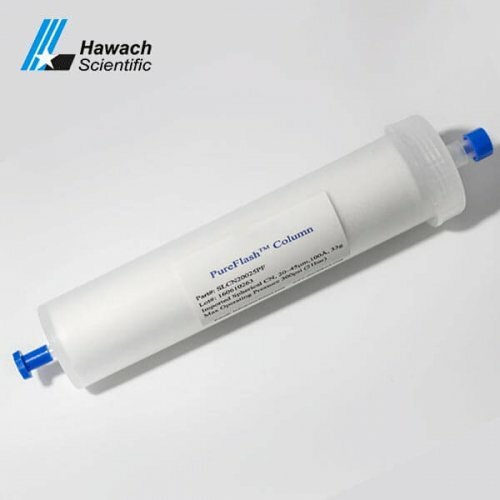 Used to extract polar/semi-polar analytes from aqueous samples.